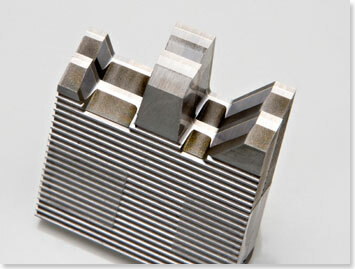 Hot Knives is your best source for high-quality moulder and shaper knives. Accurate, cost-effective and FAST! Simple. Hot Knives is the originator of profiled, waterjet-cut, “roughed-out” moulder knives as a service. There’s no challenging job that we haven’t seen and provided the knives for the solution. Hot Knives has manufactured thousands of sets of made-to-order moulder and shaper knives supplied to quality-driven woodworkers like you – one order at a time. We have a selection of knife steels on-hand to best suit your job demands. We are eager to give you a quick cost quote. Please give us a call at (800) 854-5772 or (314) 963-3322. We’re at your service. on finish-ground knife orders over $150.00 net. Check out Hot Knives’ best prices anywhere for outstanding carbide moulder knives!